With the New Year comes the opportunity for a new beginning. It is a time of setting goals and intentions, looking back over the twists and turns our lives took this past year and looking forward to the events that have yet to unfold for us. In the Simon community the holidays were busy with events, celebrations and spending time with family and friends. Our high school juniors are now busy preparing for the ACT and researching colleges. High school seniors are preparing to make final college decisions and working to determine how to pay for their education. Meanwhile, college students are returning to their campuses for another semester of challenging academics and personal growth. For the staff of the Simon Charitable Foundation this new year begins with a note of reflection and profound gratitude. 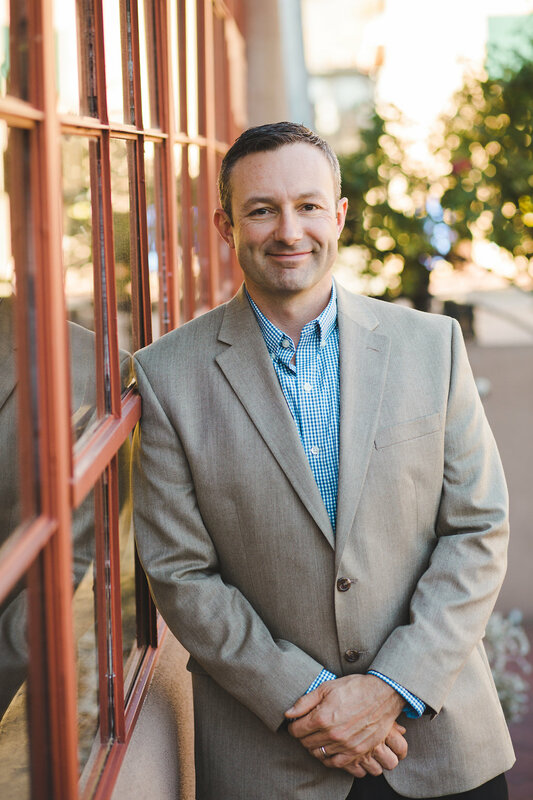 Mike Ammerman, the Program Director of the New Mexico Simon Scholars Program, has taken the next step in his career and has accepted a position with the LANL Foundation. We hope they benefit from his expertise, experience, and thoughtful programming as much as we have. 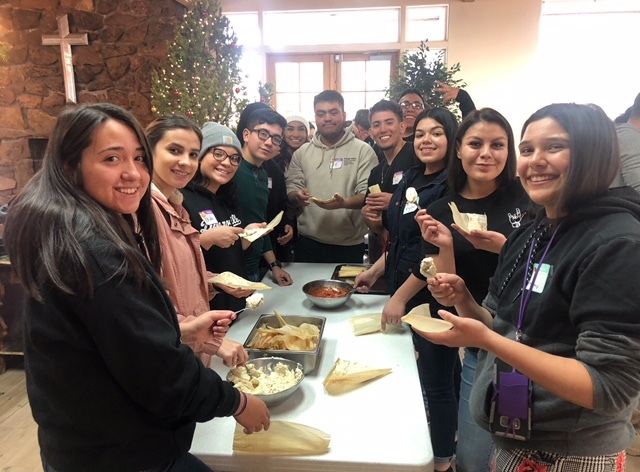 While Mike will be missed, the program that he helped build will continue the work for which it has become known: helping young New Mexicans to transcend circumstance through self-discovery and education, and empowering themselves to live successful lives by their own definition! 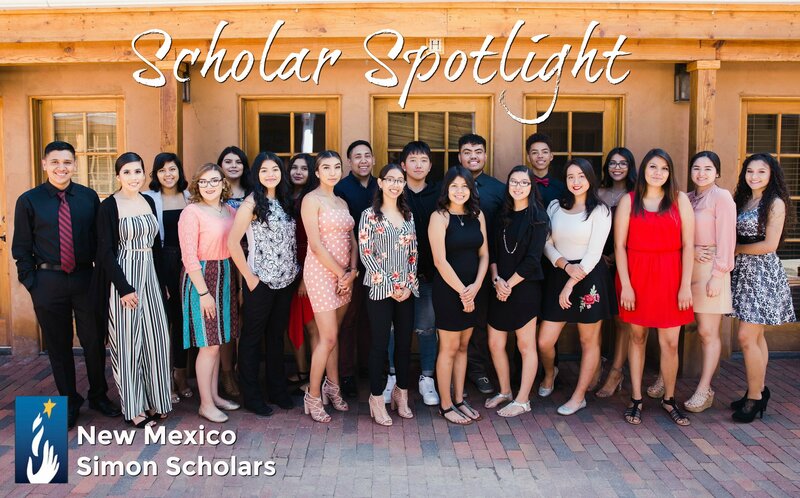 For the past 11 years, I have had the tremendous privilege of developing and leading the New Mexico Simon Scholars Program. 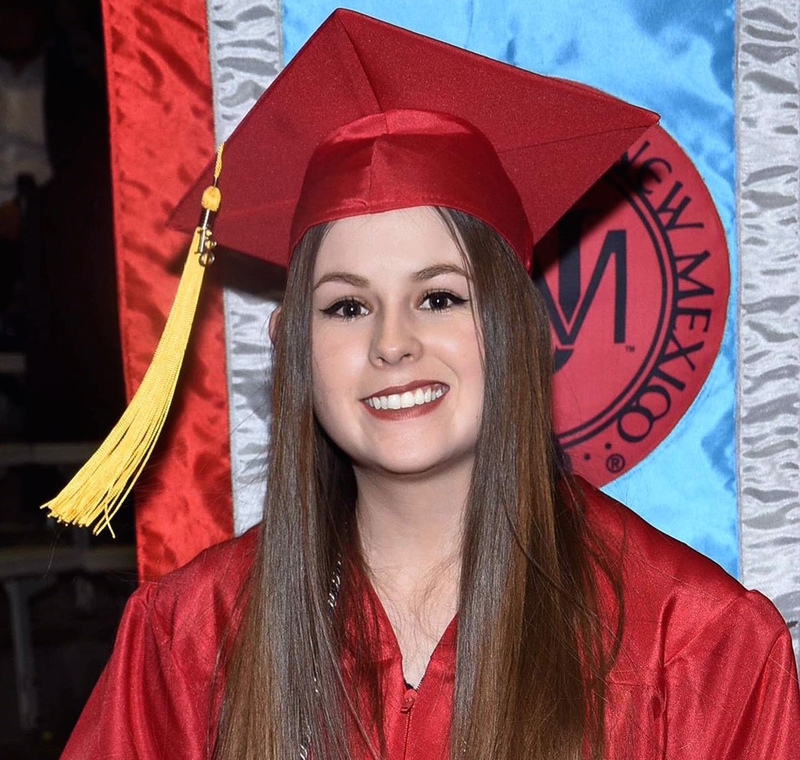 As many of you know, I have accepted a position with the LANL Foundation, where I will have the opportunity to continue serving the youth of New Mexico in my role as Scholarship Program Manager. Upon reflection of my time with the Simon Scholars Program, I am most grateful for the relationships that I have developed with our scholars and my dedicated colleagues. I am also moved by the love and appreciation our Scholars have for one another; Simon Scholars is truly a family that supports, encourages, inspires, and lifts each another up. Witnessing so many of our Scholars set lofty goals and persevere through life’s ups and downs is deeply inspiring. I know in my heart that I am a better human for having been a part of this community. Be kind to everyone. Follow your passion. Lead with your heart. Do things that scare you. Strive for a life that is meaningful. Never forget where you come from. And never stop asking yourself what kind of person you want to become. Just before the Holidays we had the pleasure of an extended conversation with Luis Ornelas. Luis is a Santa Fe Native and graduate of Santa Fe High School’s class of 2014. 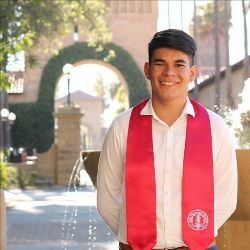 After High School he attended Stanford University and received his BA in Urban Studies last summer. Luis is very driven, inquisitive, and focused on finding ways to make the world a better place. We look forward to seeing how his journey will continue to unfold, and are happy to share with you this glimpse into his life. The New Mexico Simon Scholars Alumni Association would like to welcome four new members to the Board of Advisors. We look forward to seeing the contributions of Briana Villegas, Ronald Orozco, Jorge Lira and Lorenzo Sanchez to this growing community of young professionals. 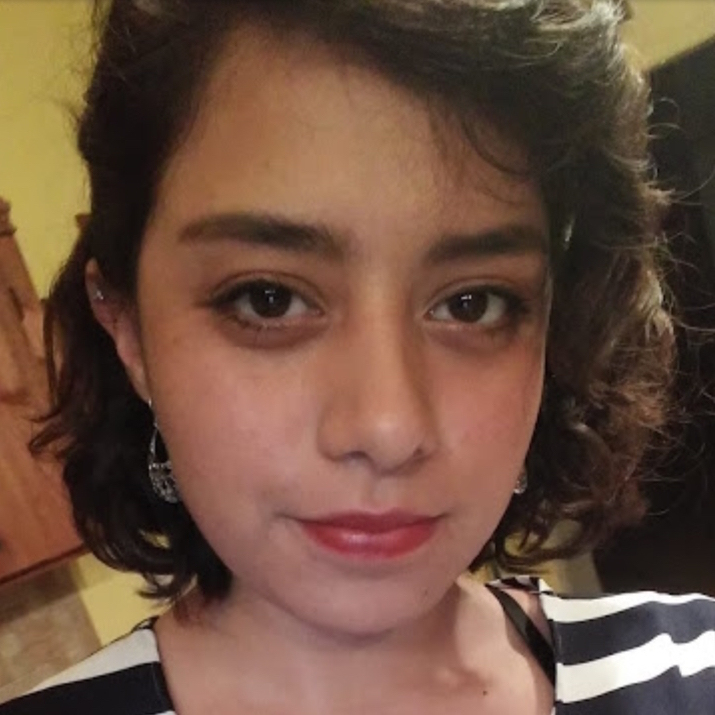 They will join Alyssa Romero and Nancy Martinez to continue and deepen the work the Alumni Association began last year. To learn more about these individuals visit Our Alumni Association online. And stay tuned for future updates on Alumni activities.The Alumni Association would also like to sincerely thank Maritza Ochoa and Janeth Santos who served on the 2017-18 board. Their work to initiate the association and begin forming a foundation for the future was instrumental. Each January, the Simon Scholars Program holds its annual winter retreat. The retreat is an opportunity for our high school seniors to process their college admission news together and reflect on their priorities moving forward, and for our junior scholars to be introduced to the college research and application process. 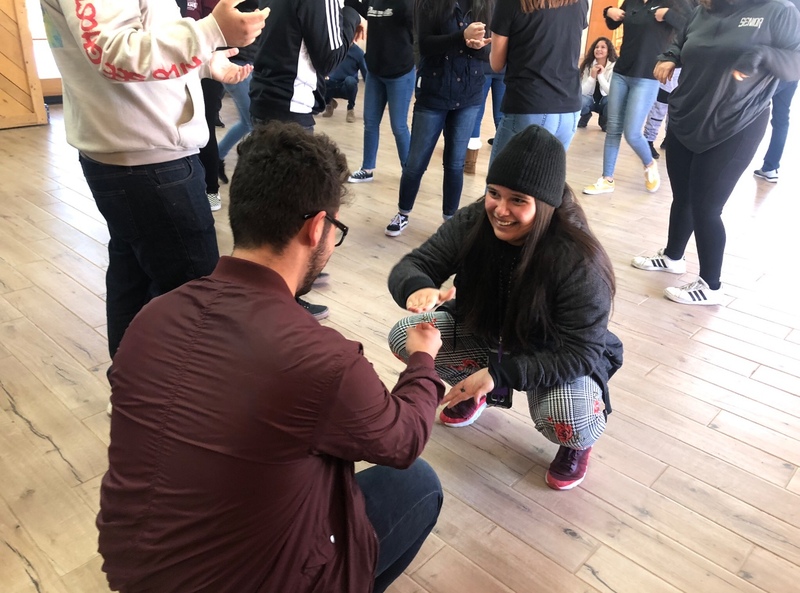 This year the winter retreat was especially meaningful as it was the first time our senior and junior cohorts gathered together as a group. The retreat took place over a weekend at the beautiful Bishop’s Ridge Stoney Camp just south of Santa Fe. 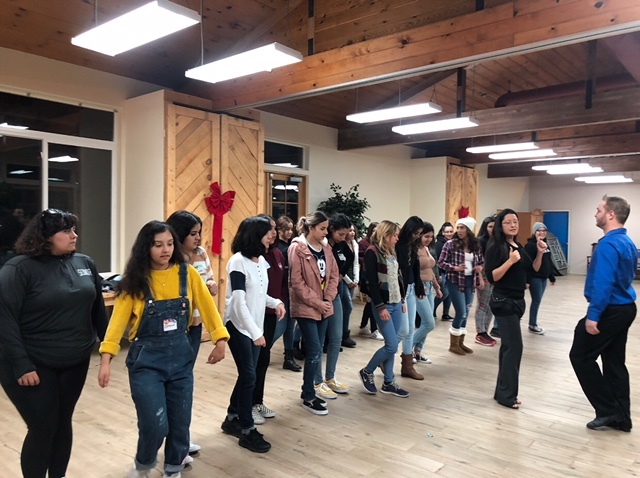 Our scholars stayed overnight in cabins in the woods and were kept busy with many activities and conversations held in our common space in front of a roaring fire. 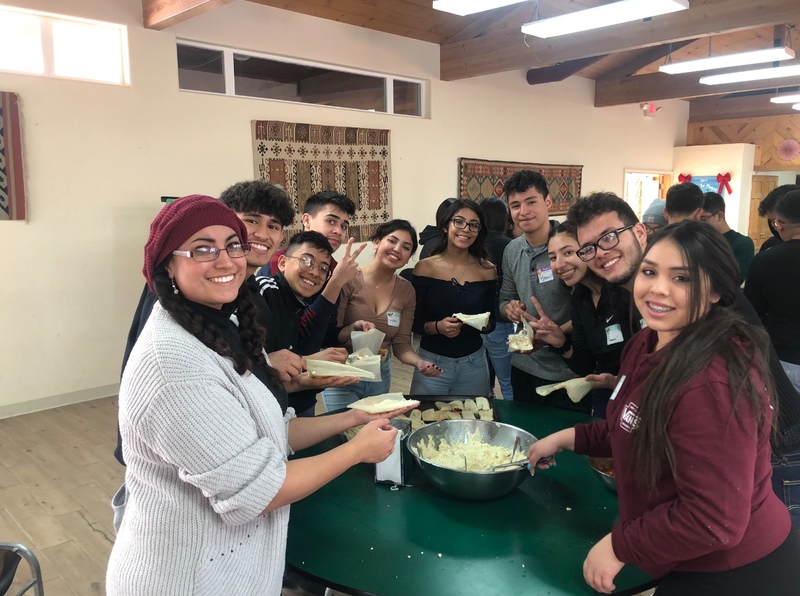 Some of the highlights included cooking tamales together, many hilarious group bonding games, and a salsa dance class! Congratulations to the following Scholars for successfully completing their undergraduate degree in December! We are immensely proud of each of you and are honored to call you Simon Scholar Alumni. Copyright © *2019 New Mexico Simon Scholars, All rights reserved.